Join Bobbin the apple in his quest to defend his homeland against banana and orange invaders. As you battle across Starfruit Island, the real menace is revealed! Along the way, make sure to save your buddy apples! 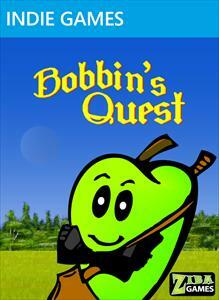 Bobbin's Quest features six vivid levels, and a comic book story line to follow. In each level there is a unique mini-game. Replay Bobbin's Quest to achieve the highest score!